When you are building a new house or repairing the old one, the quality of wood that you use for construction is critical. Woodwork is expensive, and one does not want to be stuck in repairing it just after a couple of years. Choosing the right type of wood will determine how sturdy your house is and how much it can withstand. Keeping both budget and quality in mind, select timber that grows in high altitudes. Due to cooler temperatures, the growth of these trees is slow, but they become tall and strong. You can judge timber by the density of round rings found on a cut tree. The more rings, the more strength. Each ring depicts the age of the tree. For this reason, we have dedicated professionals that handpick only the best of timber. We do not compromise on quality. Pine is known for its incredible tensile strength. It does not break easily and can survive almost any drastic situation. Pine is also known for its beautiful texture which is why it is used to enhance the beauty of living rooms. Red and white pine, are both used to make elegant furniture. Pine is not very expensive and is, therefore, preferred for interiors. You have a lot of color options with pine, so you can make your house stand out with this choice. Apart from its strength and beauty, cedar’s unique quality is its pleasant, heavenly scent. The aroma of cedar makes your house’s ambiance so positive and welcoming to the guests. It comes in marvelous shades of red and brown, really soothing to the eyes. Cedar gives your house a graceful and royal finish. Cedar, however, is rare and takes time to grow, so it is one of the more costly wood varieties. Oak is a pure, neutral variety that never goes out of style. It is one of the safest options, and there are numerous color variations from which to choose. You have classic shades of light and dark brown and grey as well. It has always been popular in the log home business because of its durability and affordable prices. Also, oak is heavy, it does not wear away quickly and retains its quality for years. 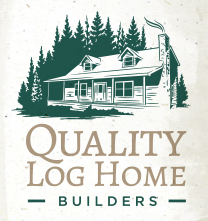 This entry was posted in Log Cabin Homes and tagged buying logs, local wood for log cabin, Log Cabin Builders, log cabin materials, Log Home Builders, log home lumber, Raleigh NC. Bookmark the permalink.